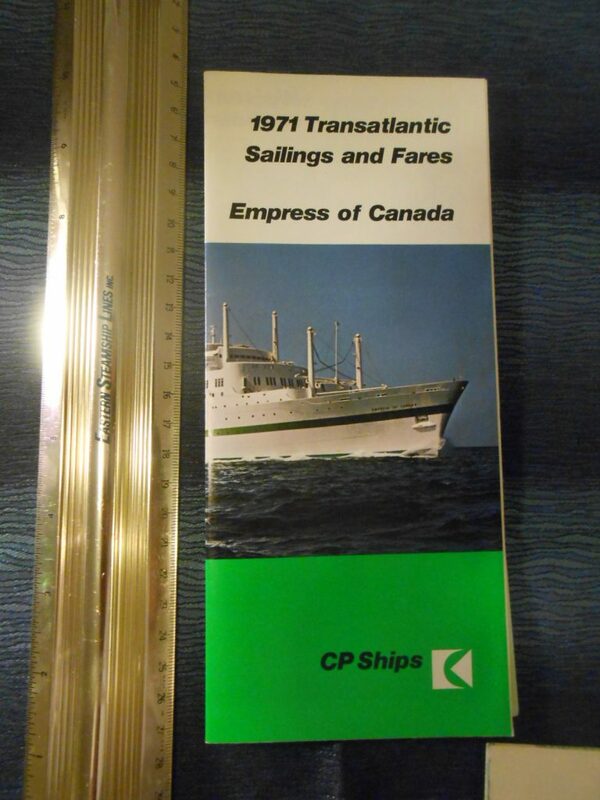 Nice green colored document for the sailing and fares for the 1971 season … also includes and inserted mimeograph message thanking agencies for their bookings. There are nice b/w photos of shipboard life inside. The cover that the last funnel paint scheme CP used before they closed their passenger services … not long afterward.